Have you set family technology rules for your family? Maybe you have a few that aren’t really written down anywhere and that are implemented with less consistency that you would like. We are all guilty of setting time limits on Tech only to find that we’ve gotten caught up in making dinner or other household responsibilities and sort of let the time limit come and go unenforced. What about tech at the table? Many families want to have a tech free dinner, but find they face resistance. Sometimes, it’s even parents who have a hard time abiding by their own rules. It’s hard to keep technology under control in today’s world. We all feel like we’re barely keeping up and technology becomes just one more area where were not being the kind parents we think we should be. Have you ever heard yourself saying any of these common phrases heard in homes across the world these days? Managing technology and our kids can feel overwhelming. Every time we turn around there are new devices, new apps, new types of social media and new online threats. It may seem like we need to become technology experts, but it may be easier than we think to take control of technology before technology takes over our families. Sorry to say this, but it starts with us parents. 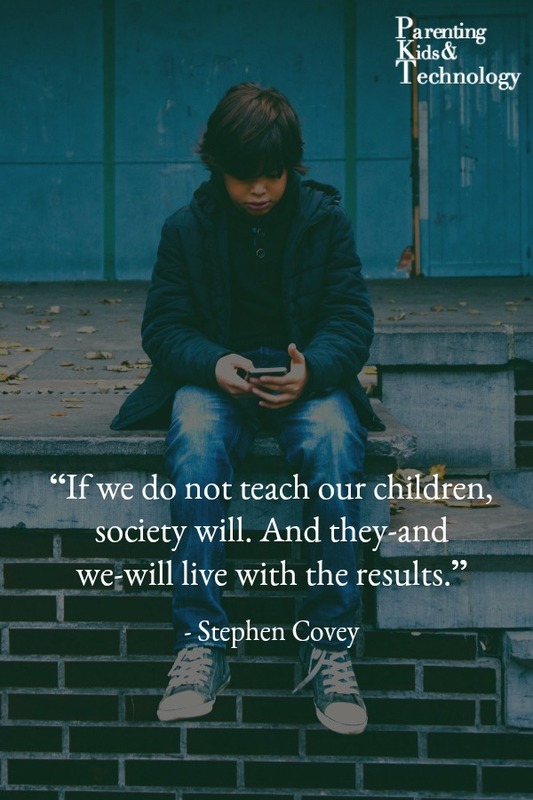 Before we can even begin to help our children to make wise choices when it comes to technology use, we have to ask ourselves exactly what behaviors are we modeling? If we aren’t exercising discipline and we’re constantly on our devices, we can’t expect anything different from our children. It doesn’t need to be a big lecture, but most kids really do want a healthy family and when they know rules are being put in place to protect them, they know you’re doing your job as their parents. While they may act annoyed, the lasting result are kids who feel more secure and confident. Psst: there’s a super cute family technology rules printable at the end of the post. Hang it over your family computer or on the fridge to serve as reminder for your kids and for you! I have told my children for several years now, “your expectation for technology time should be zero, anything you get above that should be considered a privilege.” Then I make a cute little “zero” with my hands together kind of like the little hand hearts young people like to make these days. This helps them to understand that having technology available and being given the opportunity to use it is not an automatic, they have to hold up their end of being part of our family or else technology is the first thing to go. It also helps them to be appreciative of technology time when they have it. Whether it’s watching a certain television show, downloading a new app, using our family computer (which sits in our open living room by the way so we can always monitor them on it) or purchasing a new video game, they MUST ask our permission. If they do not, and this includes at other people’s houses, and we find out then it results in a TOTAL loss of all technology. Each family has to determine for themselves the length of the time-out from tech based on the offense, but this is a zero tolerance policy and we as parents should NEVER make an exception. How often has your child completely ignored a request you’ve made b/c they are zombified by the TV or else maybe you’ve heard your children using unkind words when they are playing a video game with a friend or sibling? Our children need to be taught to value their relationships and that those relationships should always be put first.If my child fails to respond to me, because they are too absorbed in technology, then the technology gets turned off for the rest of the day and sometimes the rest of the week. Period. End of Story. The End. This is the best chance we have as parents to connect with our children and find out what is going on in their lives. If everyone is too busy with tech, then we lose out on this important family time. I do not demand my children turn off the TV or quit a game they are playing on our iPad without some warning, this is only fair. I will give at least a five minute notice before I am expecting them to turn it off. However, after the grace period is up, I’ve made it clear that they should not beg for more time, whine and complain, or even worse, have some sort of tantrum. In the event this occurs, no more technology privileges for a set period of time. When they get tech time back, I remind them why they lost it and that they will have the same consequence doubled if it happens again. Let’s face it, most technology is expensive. It is okay to talk with our kids about the investment made in a purchase and the importance of caring for our possessions properly. For our littles, we need to show them the right and wrong way to handle these different devices and for all our kids there should be an established safe place to put things when they are done using them. If our kids are careless, then they absolutely need to, at a minimum, share the burden of paying for a replacement. For older kids this money can come out of an allowance or savings or they can do extra chores to earn the money to help replace the broken item. Younger children may not be able to monetarily help, but it may mean an item just isn’t replaced or else if it is, they no longer can use it. Using tech in a way that could potentially harm any human being, including oneself is inappropriate. This means you’re going to need to have age appropriate conversations with your child about the dangers that exist online. There needs to be a clear understanding about the language and photos that are acceptable vs. unacceptable to be placed online. Do not assume your child “knows better”, be blunt and state the obvious. We also need to coach them on appropriate social etiquette and how to be respectful online. Children, and many adults, feel a false sense of anonymity when they are interacting with others online and may act in ways or say things that they never would in other situations. We can have good kids, but that doesn’t mean they will ALWAYS make good decisions. Children do not have fully developed decision making capabilities or the ability to think through their decisions to the long-term consequences even in their teens. That is why they are ours until they are at least 18 and it’s why they need family technology rules. If they do not demonstrate the maturity necessary to handle different aspects of technology appropriately, then they don’t deserve to have the technology. Both for their safety and the safety of others. Don’t be afraid to be the bad guy, you know your child better than anyone and it is your job to be their parent, not their friends. 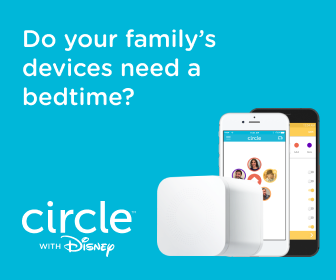 Do you have other family technology rules in your household? I couldn’t agree more with this list! Especially about breaking it. Kids take care of their devices so much better when they have to be responsible for them. Love this post! I have to share to our followers. I love the print out as well, I’m going to display this in our computer room as a friendly (yet cute) reminder! Thank you so much! I hope your followers also find it useful. We’ve really found that as long as we had rules, our kids understood the rules and we followed-ed up with consequences when the rules weren’t followed that we’ve had very little issue with keeping tech a manageable and fun part of our lives. this is SOOO great! thanks for sharing… my boys are little 4, 6 and have no technology… over Christmas we were with their cousins… 8,9, 11 and they each had a new ipod touch and had access to the internet and were on those things monitored ALL DAY LONG. not only was i concerned for what they were doing on them, but it also made the week so anti-social and my boys just wanted to play with their older cousins… technology is going to be very limited in our home.. just like tv is. We are so flattered and would be thrilled for you to share it. I’m in the process of getting a copy with our site on it and hope to have it ASAP. I will email you a copy as soon as we’ve got it. Thank you for looking out for us that way, we really appreciate it. Great! Let me know when you have it, and I look forward to scheduling it for sharing on my page. This is such a great post and I wholeheartedly agree that technology is a privilege and not a right. We lose so many valuable life and teaching moments due to technology. This is a great post, has given me a lot of ideas for our family. Our kiddo already knows that he only gets “screen time” every other day, if that, and any whining for more or grumbling means he gets less, not more. And Common Sense Media has been super helpful with movies. We are pretty strict about technology in our house. The kids don’t use tablets or the computer and we only watch tv on Friday night movie nights. Our kids are young though so I’m sure things will change as they get older. It is a battle some days but I believe its worth it to set these boundaries! I don’t have kids yet, but this is definitely something I have thought about for when I do. Technology has changed so much since I was a kid, even if that was less than 15 years ago. 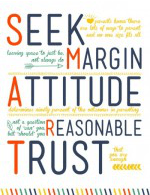 I know that I want to decide how I will handle certain things early on so that I can be consistent right off the bat. #8 is one that I especially believe in! When I was a kid I had to save up to buy anything I wanted beside Christmas/Birthday presents. I just don’t understand when I see parents buying expensive toys for their kids for no reason and then replacing them when they break them! Love this. I have gotten so bad that my kids do come to the table with their technologies. I have managed to shut down all tech devices in the weekday while school is in session but on the weekend you won’t hear a peep out of them because they are so engrossed. I must do better and not have this problem rule this household. well said!! love the rules! We don’t have kids yet – – but my husband and I have still been wrestling with the technology question ourselves this year. As you know, for us bloggers, we often feel the need to be attached to our devices ALL THE LIVELONG DAY because of our jobs. But I know for me, it can get so waring if I don’t take a break. So, we try not to use our devices at meal times or during our weekly Sabbath! That’s right – – we’ve been taking one day a week each week to unplug and intentionally seek out life-giving activities and spiritual renewal. I actually have a blog post in the works that I need to finish and share because it has so revolutionized our lives. But now I’m wondering how we survived without it! Great post, Kira. Thanks for getting this convo going. This is a great article. 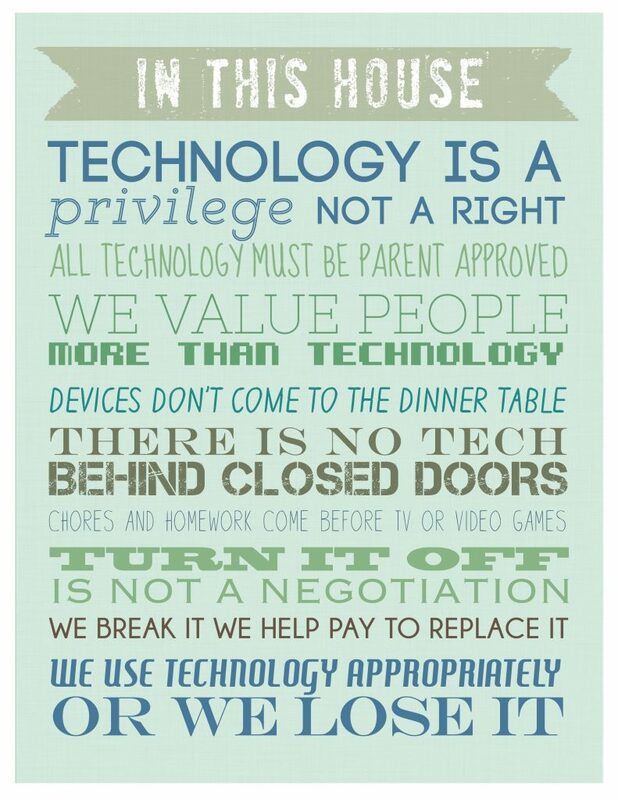 I especially like the part in your rules where it states: “Technology isn’t a right; it’s a privilege.” When my boys were little, they had a set amount of “screen” time to use for whatever technology device they chose. This gave them the feeling of ownership which is essential. Then, we set up a family policy that stated that they could earn more supervised screen time according to every minute they read. So if they read 30 minutes, we added 30 minutes to their screen time. We did, however, have a “cap” on the screen time. This encouraged reading. Now, our youngest loves to read. He reads more than using technology. We also taught them that technology is a tool not an obsession. Anyway, thanks for this great information for parents. 🙂 Have a wonderful day!